Seeking Early Childhood Educators at Valhalla! - Seeking Early Childhood Educators at Valhalla! Cooking fans of all ages, welcome! With funding from our sponsors (thanks! ), we offer cooking classes featuring quality seasonal foods prepared together by local experts and learners of all ages. Learn food skills, meet new and old friends, and enjoy a meal together. 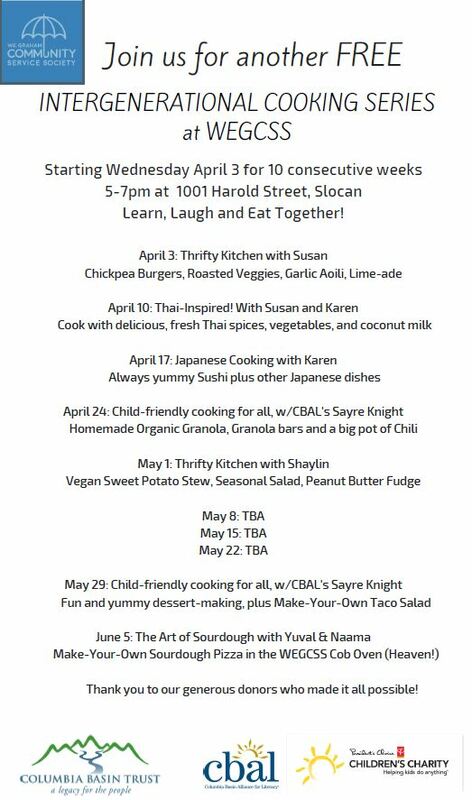 See below for schedule and menu details, and call Susan at 250 355 2484 for more information or to register. All ages welcome. Please note: children 12 and under must bring an adult.